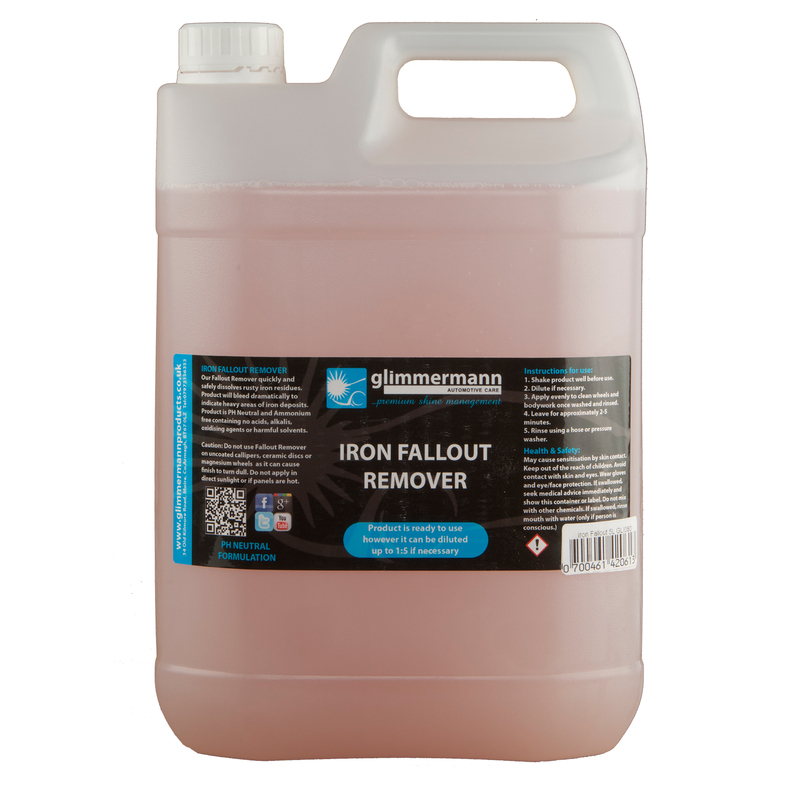 Glimmermann Fallout Remover quickly and safely dissolves rusty iron residues. Product will bleed dramatically to indicate heavy areas of iron deposits. Product is PH Neutral and Ammonium free containing no acids, alkalis, oxidising agents or harmful solvents. Caution: Do not use Fallout Remover on uncoated callipers, ceramic discs or magnesium wheels as it can cause finish to turn dull. Do not apply in direct sunlight or if panels are hot. 3. Apply evenly to clean wheels and bodywork once washed and rinsed. 4. Leave for approximately 2-5 minutes. 5. Rinse using a hose or pressure washer.